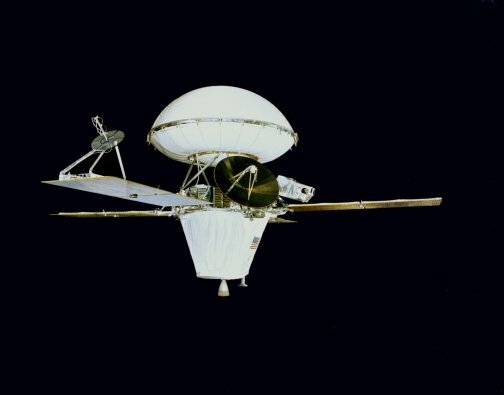 Viking 1 was launched on August 20, 1975 and arrived at Mars on June 19, 1976. The first month of orbit was devoted to imaging the surface to find appropriate landing sites for the Viking Landers. 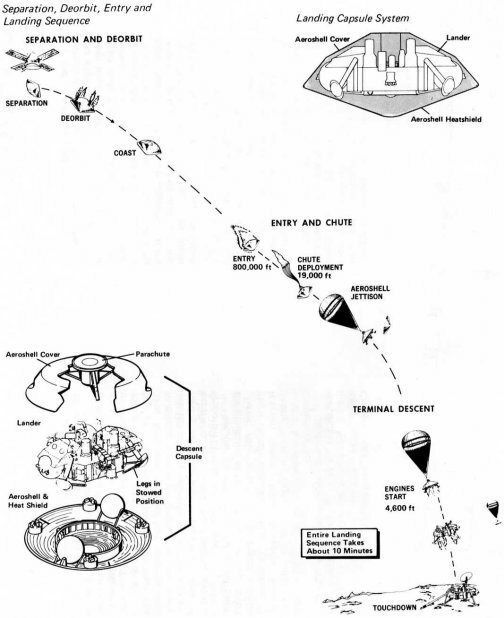 On July 20, 1976 Viking Lander 1 separated from the Orbiter and touched down at Chryse Planitia. Viking 2 was launched September 9, 1975 and entered Mars orbit on August 7, 1976. 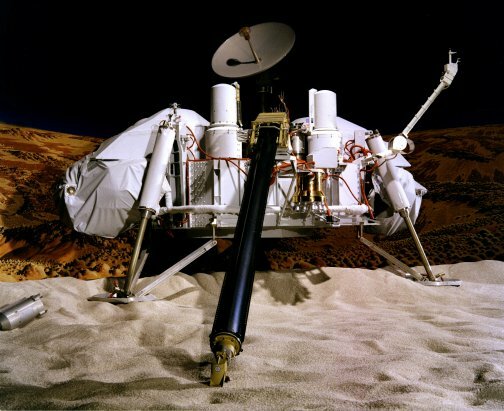 Viking Lander 2 touched down at Utopia Planitia on September 3, 1976. The Orbiters imaged the entire surface of Mars at a resolution of 150 to 300 meters, and selected areas at 8 meters. Viking Orbiter 2 was powered down on July 25, 1978 after 706 orbits, and Viking Orbiter 1 on August 17, 1980, after over 1,400 orbits. The Viking Landers transmitted images of the surface, took surface samples and analyzed them for composition and signs of life, studied atmospheric composition and meteorology, and deployed seismometers. Viking Lander 2 ended communications on April 11, 1980, and Viking Lander 1 on November 13, 1982, after transmitting over 1400 images of the two sites.